Cycling’s governing body, the Union Cycliste Internationale (UCI), has made a strong commitment to improve international women’s cycling. 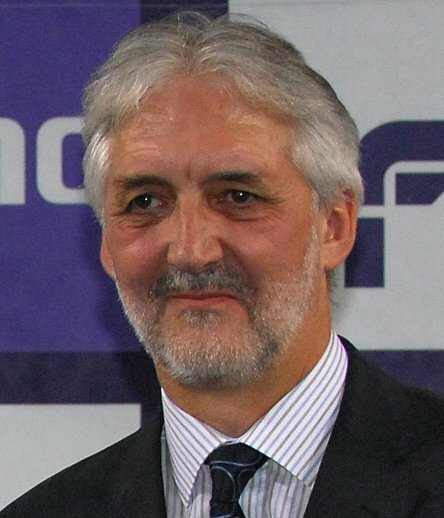 “One of the things we agreed at the UCI Management Committee a couple of weeks ago was that we needed to do something about it,” UCI Road Commission president Brian Cookson said. “As a matter of principle and policy, we agreed to try to work towards making women’s cycling more equitable in every aspect with the men’s. Since starting his new role last September, one of Cookson’s tasks has been looking at how to develop the women’s cycling scene. “What I asked the senior management team to do was look at short, medium and long-term actions we can put in place,” he explained. “I’m not clear that we’ve actually got that process right; we’ve got a lot of work to do. Another agreement from the UCI Management Committee meetings in late September was to appoint one woman to each of the UCI’s 18 committees. As part of her role as UCI project coordinator, Brazilian Andrea Marcellini will be aiming to develop women’s sport. The UCI also agreed to equalise the track team pursuit – making it a race of four women over 4,000 metres – from the 2014 World Track Championships onwards. Cookson admitted “concern about the economics and viability” of the UCI plans. Alongside more effort from the governing body to address the imbalance between men and women’s professional cycling, a flush of money from sponsors and TV revenue is what will spark change. That comes down to marketing, first and foremost, and making the backing of an international women’s team attractive. While desiring greater parity, Cookson added that there was no quick fix. “I don’t think there’s a magic wand or a lever to pull that makes everything OK; you’ve got to help it evolve,” he said. “We could look at encouraging ProTeams when they renew their UCI registration, but not necessarily in a compulsory way.